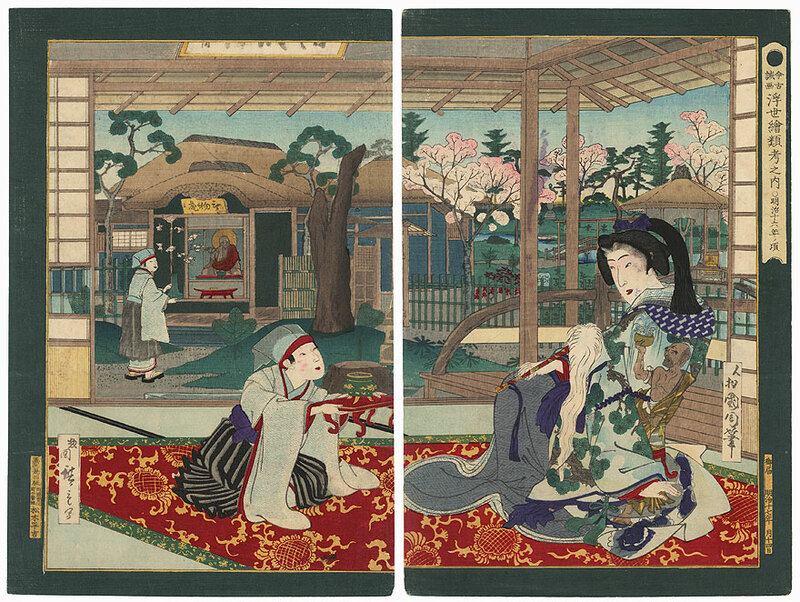 Comments - Handsome illustration of the courtesan Jigokudayu, whose name means Hell Courtesan, relaxing in a room overlooking a garden as a young Buddhist acolyte offers her an incense burner on a red tray. 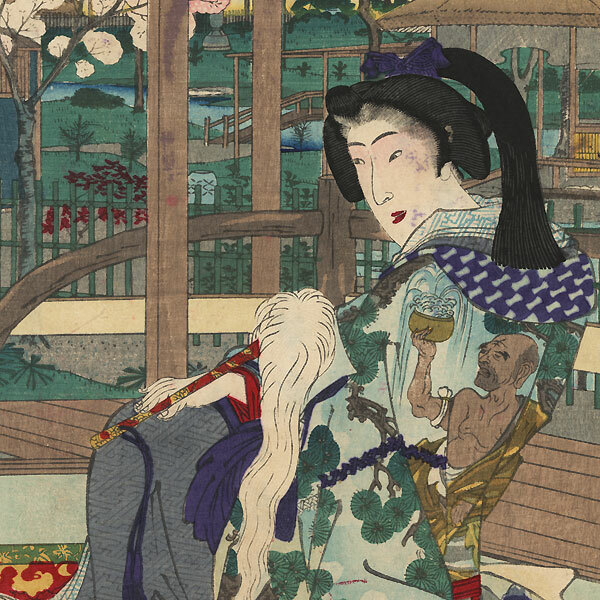 After the Priest Ikkyu enlightened the young courtesan as to the evils of her profession, she became a convert to religious life. The beauty smiles happily at her attendant, wearing an kimono patterned with a pilgrim doing penance under a rushing waterfall. She holds a delicately embossed horse hair fly whisk. 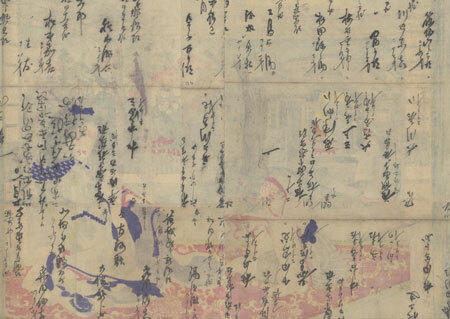 At left center, another acolyte carries a vase of blossoming cherry branches to place before an altar with a statue of Buddha. An attractive depiction of this famous tale, beautifully detailed. Includes a dusting of mica over the beauty's kimono. Image Size - 13 7/8" x 18 1/4"
Condition - This print with excellent color and detail as shown. Two separate panels, backed with paper. Slight toning and soiling, a few stains. Please see photos for details.